The prospective new owner of the Landmark Macau casino hotel in that city has told GGRAsia in an interview that he aims to “enhance the gaming services” at the property. 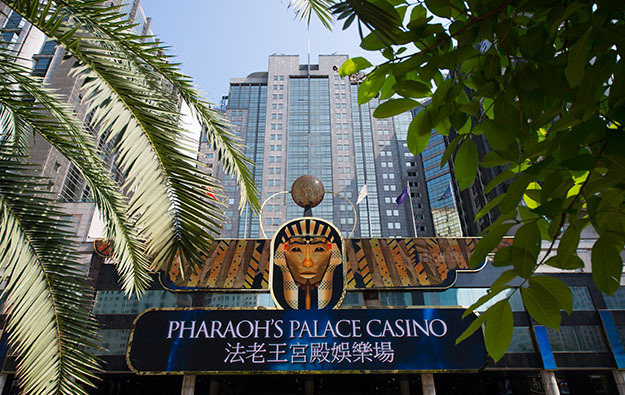 Gaming revenue at the Pharaoh’s Palace casino inside the venue fell 22.6 percent year-on-year in the first six months of 2017, according to the interim report of Macau Legend Development Ltd, the prospective seller of the casino hotel. The business arrangements for the gaming operation at Landmark Macau involve a series of complex and interwoven deals that are not untypical of arrangements in so-called “satellite” properties in the Macau market – i.e., venues that are controlled by parties other than one of the six Macau casino licensees, but piggyback on a licensee’s gaming permit. Mr Chong’s firm Dong Lap Hong Property Investment Co Ltd is due to take a majority 58 percent stake in the Landmark Macau according to a Friday filing in Hong Kong from Macau Legend. The listed firm had said its chief executive David Chow Kam Fai and one of the group’s wholly-owned units were selling 100 percent of the equity in the Landmark Macau for a consideration of HKD4.6 billion (US$589.7 million). 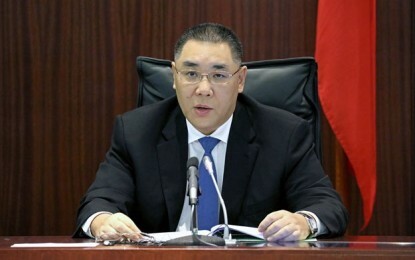 The deal must be approved by the local casino regulator, the Gaming Inspection and Coordination Bureau, also known by its Portuguese-language acronym DICJ; and SJM Holdings Ltd, the Macau casino operator that holds the actual gaming permit used by the property. Mr Chong further noted to us that the other three suitor firms in the disposal are controlled respectively by his children and members of an organisation called the “Association of Real Estate Sector of Macao”. Mr Chong currently is an investor in a junket operation branded as “Neptune Palace” at the Landmark Macau. He started that VIP gaming business at the property in 2004. Friday’s filing from Macau Legend regarding the disposal noted that under a so-called “participation agreement”, wholly-owned Macau Legend unit Hong Hock Development Co Ltd would provide gaming services at Landmark Macau “for as long as SJM Holdings maintains its status as a gaming concessionaire in Macau”. SJM Holdings’ current Macau gaming concession is due to expire in 2020. “Hong Hock is still the entity that holds the management rights in terms of gaming operation at the Landmark Macau, where our role in that regard is pretty much an investor and collaborator that helps in the marketing side and introducing gaming patrons,” Mr Chong told GGRAsia. Macau Legend’s interim report said that as of June 30, the Pharaoh’s Palace casino inside Macau Landmark had 60 mass-market gaming tables, 17 VIP tables and 141 slot machines. The VIP gaming club “Neptune Palace” currently hosts 10 gaming tables at the Landmark Macau, said Mr Chong.